Home/Blog/Wholesale Distribution – Feeling the Squeeze? 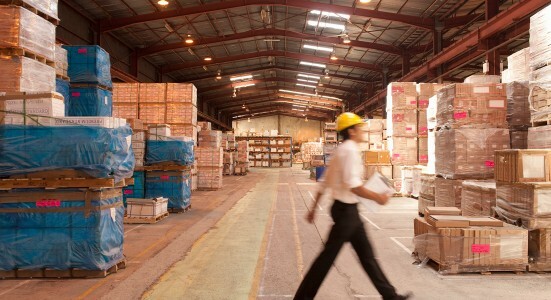 Wholesale Distribution – Feeling the Squeeze? Wholesale Distribution – Do you feel caught between a rock and a hard place? Wholesalers tell us they’re feeling squeezed – caught between the demands of manufacturers who want greater efficiency and retailers who want them to be more responsive. Couple that with the threat of the disruptors – the mega wholesalers like Amazon and things start to look a little uncomfortable. Wholesale Distribution – Time to Move on Up! Grow quickly, improve revenue, reduce costs – how to build competitive advantage for your Wholesale Distribution company. Keeping up to date with new technology is key to survival in such uncertain times, as outdated systems stifle growth. One of the big developments has been digital – which basically means using the power of online connectivity to improve revenue and build competitive advantage. By leveraging the power of digital technology to run your core business processes, you will serve your partners better at both ends of the supply chain. For wholesale distribution we recommend SAP Business ByDesign the solution in a box, which was created with mid-sized businesses in mind. It’s based in the cloud so you don’t have to go through the pain of implementing computer hardware on your premises as it is all accessed via the internet. With SAP Business ByDesign you can see at a glance what’s going on across the whole supply chain. And by adding on our fully integrated Warehouse Management System Lisa Distribution from N’Ware warehouse staff will get help streamlining order processing, receiving, picking and shipping –all from one hand held device. If you would like to find out more about how In Cloud Solutions can help you to become more efficient please contact us for more about SAP Business By Design and Lisa Distribution WMS from N’Ware. 2018-12-13T19:16:42+00:00January 4th, 2018|Blog|Comments Off on Wholesale Distribution – Feeling the Squeeze?